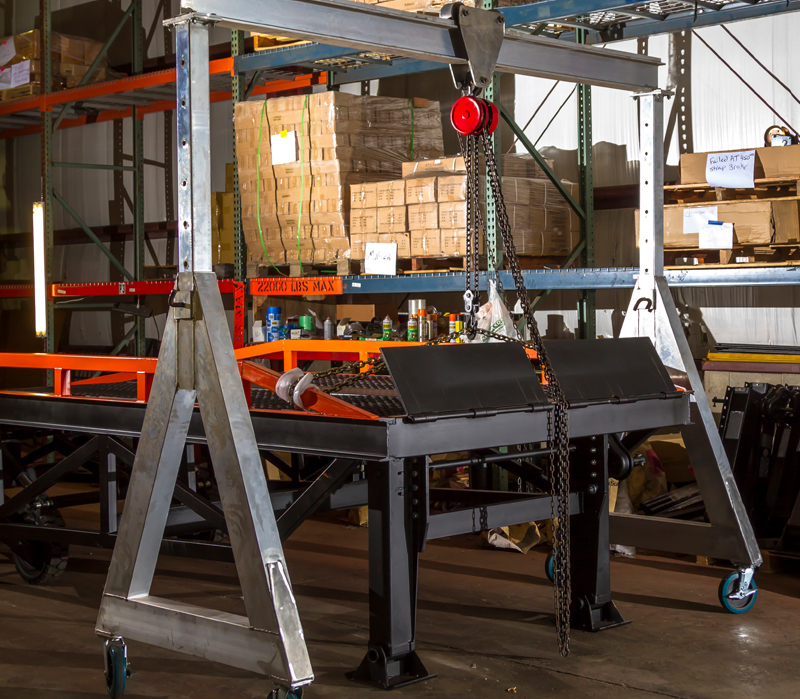 The portable aluminum gantry crane provides an economical way to lift cargo, equipment, and materials anywhere in your facility. 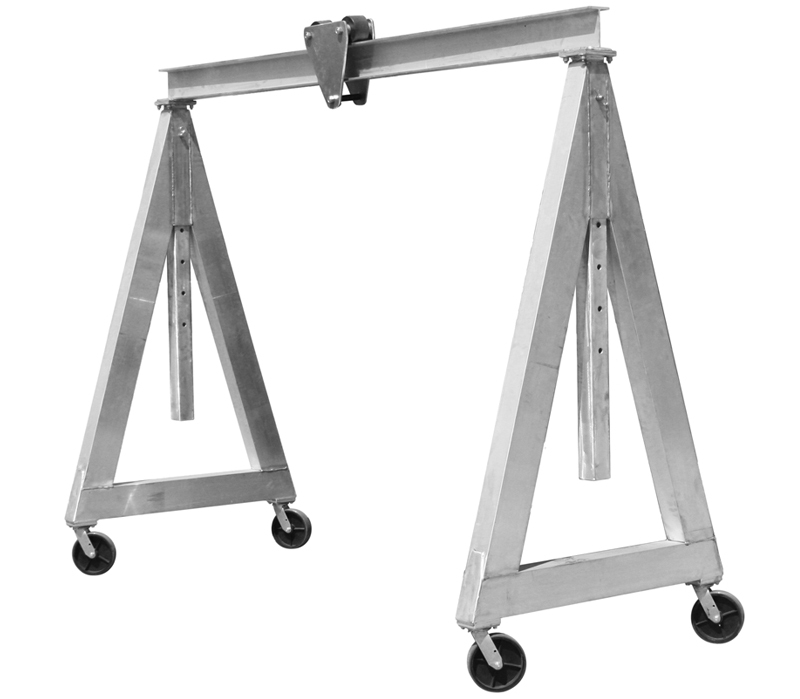 The aluminum construction of this gantry crane makes it lightweight and corrosion resistant, perfect for outdoor use. With a 3,000 lb lifting capacity, this is an essential tool for riggers, mechanics, and maintenance technicians to assist with installing and servicing all types of equipment and motors. The gantry can be disassembled in a matter of minutes. Its compact size makes it convenient to transport in a pick-up truck or van, and it will not take up valuable space in your shop or warehouse. The height is adjustable in 6″ increments from 6-1/2’ to 10’. Gantry includes four lockable 8” polyurethane casters wheels, making it easy to roll while protecting your building’s floors from damage.